The French Memorial Fountain was built in 1972 to commemorate the bicentenary of French exploration in Tasmania. The sculpture itself is actually built out of Huon pine and it represents the bow and the sails of a French ship of that time. 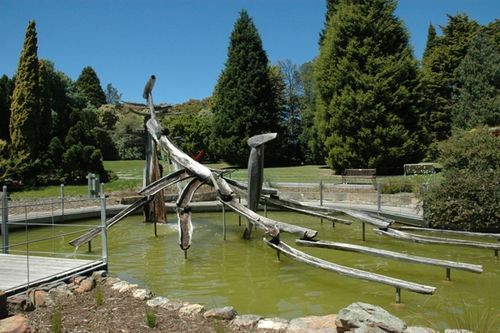 The plantings surrounding this sculpture consist of Tasmanian native plants. Presented by the French community in Australia, the Tasmanian Government, Hobart City Development Association, City Council and Tasmanian Friends of France.